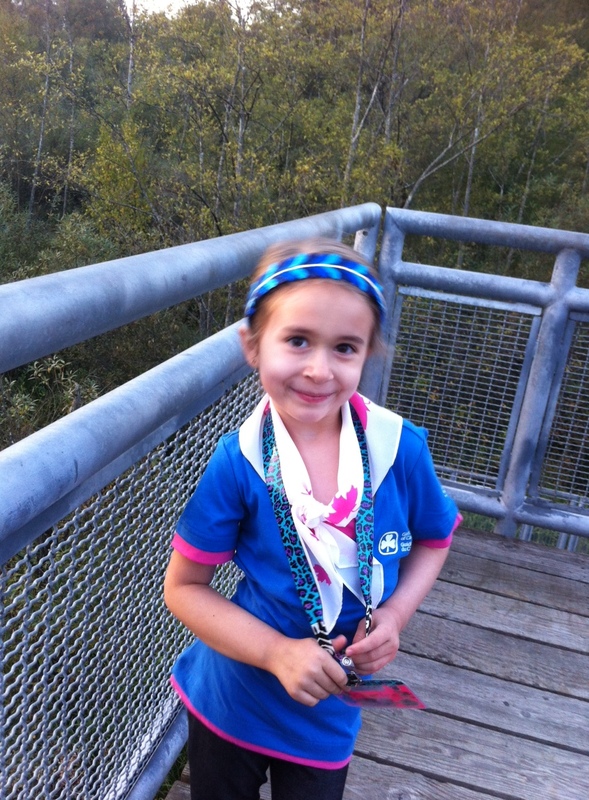 Last week the girls in the 1st Sparks went on an outing to Burnaby Lake where they were toured around the park by some Metro Vancouver park interpreters for a Nature Explorers field trip. The theme of the evening was nocturnal animals. Stations and activities were set up along the trail designed for the girls to learn about bats, owls, spiders, frogs, slugs, beavers, and flying squirrels. Puppets, artefacts, and habitats were all involved in a hands-on experience, expertly tailored to our girls’ ages. One of the best recieved activities involved the Sparks climbing through a giant spider web without touching the strings… or else the giant fuzzy spider puppet would come turn them into supper! There was plenty of real nature to enjoy. Girls got to pet slugs, listen to frogs, and observe birds — some girls even spotted an owl! It was a lot of fun to spend a meeting outside learning about nature. It was neat to learn that there was so much wildlife so close to where we all live. If other groups are interested in booking a park interpreter field trip, details are available here.